OPEX is customized fitness in a community atmosphere and the most effective way to meet your health and fitness goals. Whether you are looking to take your performance to the next level, or simply want to focus on your health and fitness, we can help you reach your goals! Our professional coaches will be your partner on your fitness, nutrition, and lifestyle journey so that you are able to make progress for the long run! Ongoing Nutritional Support: Meet with your coach regularly and build a foundation with nutrition principles that will help you fuel your body appropriately for the rest of your life! Daily Coaching: You will have a professional coach on the floor during your training sessions to ensure proper movement instruction, correction, education, and support. Accountability: Your coach will conduct a strategy session every 4 weeks to review your goals, nutrition, and lifestyle changes to make sure you are on course to succeed. This also allows us to ensure that we are doing our best to help guide you to where you want to be. Convenience: State of the art equipment to meet the needs of your training program and support your journey on a schedule that allows for flexibility and autonomy. FITBOT: Your coach will introduce you to FITBOT, a web platform our coaches use to deliver your program, make your fitness plan easy to follow, track your progress, and communicate daily results and comments to your coach. Travel Workouts: Your travel schedule won't disrupt your progress! 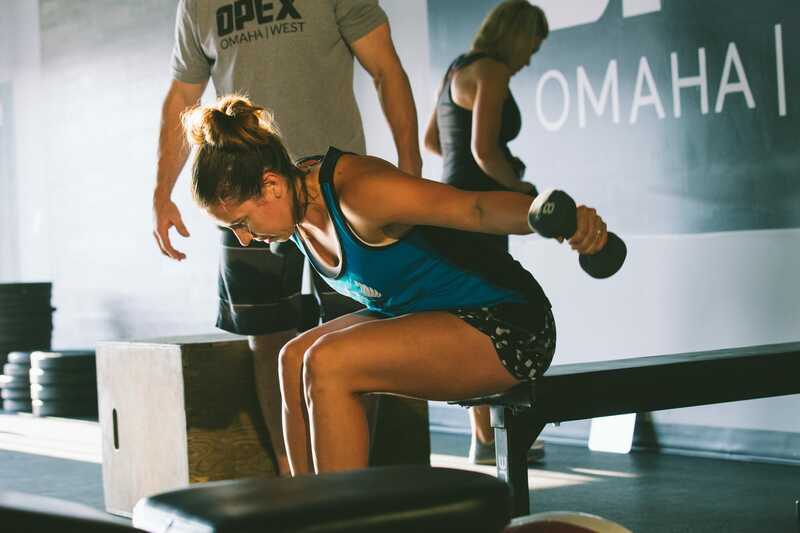 FITBOT goes with you on your phone and your coach at OPEX Omaha West will continue to support you during your time away from the gym and community that you call home! You can stay on top of your fitness plan, even while traveling, or when your schedule becomes hectic and unpredictable.